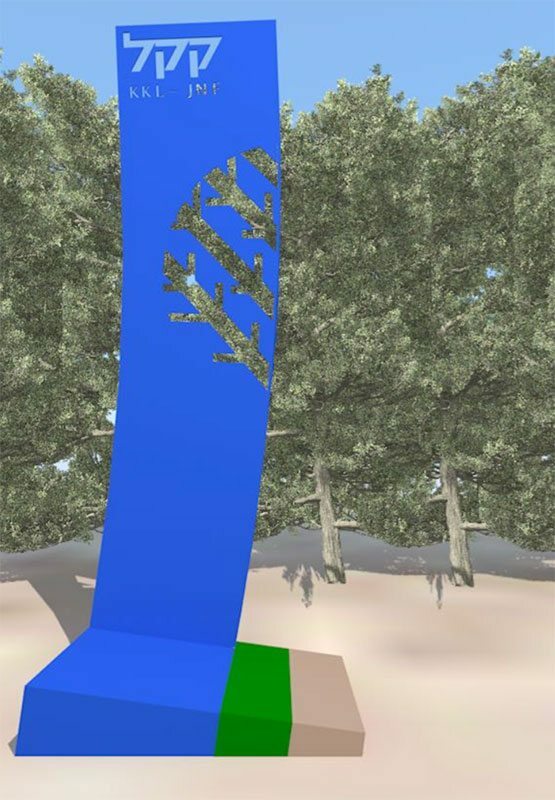 Three-dimensional interpretation of several fields of of activity and values of the JNF forestry, land development, stream restoration and ecological environmental activities in forests and parks. The guiding line in the three proposals reflects an affinity and respect for the heritage of the past, innovation and relevance to the present, and the desire to realize the vision of the Jewish National Fund in the future. Out of this, and considering developing a logo design (logo) Over the years, I had the desire to preserve its strong graphic identity and to maintain a dialogue with him. The proposals keep green shades, blue and brown, on the diagonal lines that appear in the logo. As an allusion to the first furrows plowed in our country in Petah Tikva. 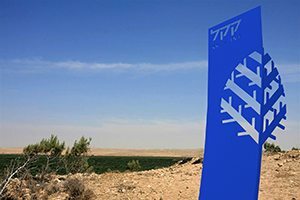 The tree icon appears at the blue logo, has become a central theme of the proposals submitted, as a tribute to the first tree planted in Israel. Overall height about 4 meters.